Genevieve Bennett is a London-based designer. 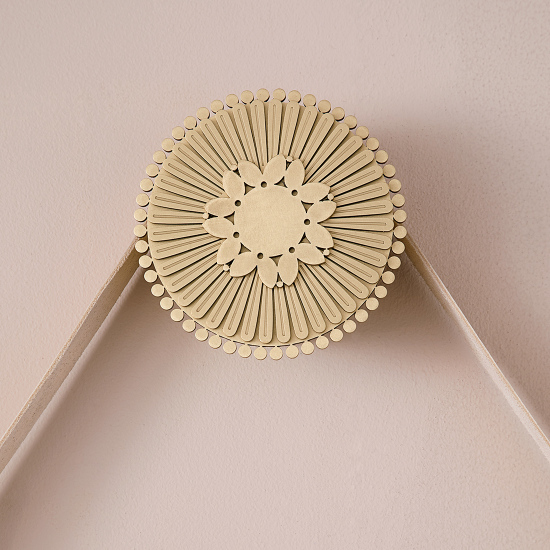 Her work references the tradition of decorative arts whilst being enabled by sophisticated technology. Driven by a love of natural luxurious materials - typically working in premium leather - she applies an instinctive command of pattern and a commitment to craft to create pieces which are timelessly elegant and thoroughly contemporary. Her aim is to produce pieces which are precious, distinctive and long-lasting. The collections are inspired by the notion of lifetime possession, of permanence. Pieces, surfaces and objects that become more beautiful with the passing of time. A commitment to the finest natural materials worked and engineered with the highest level of artistry and skill. 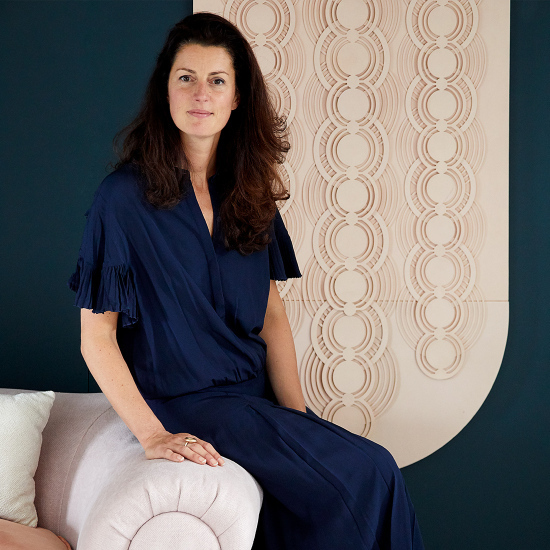 Genevieve will be launching new pieces from her 'Braid' and 'Bloom' Collections at Decorex 2018. 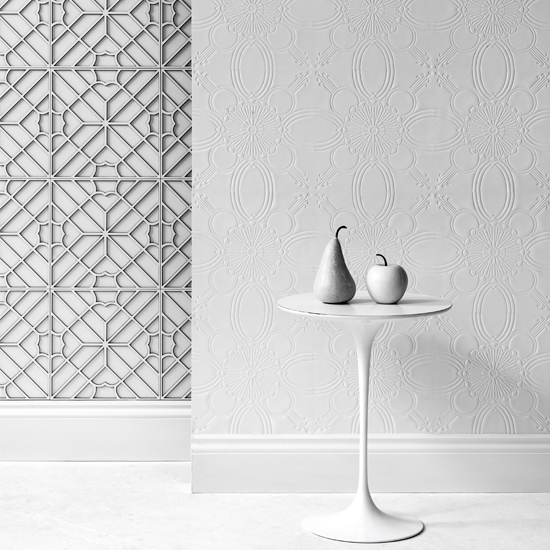 Inspired by the masters of Art Deco ornamental metalwork, the collection explores a love of detail and tactile surface. 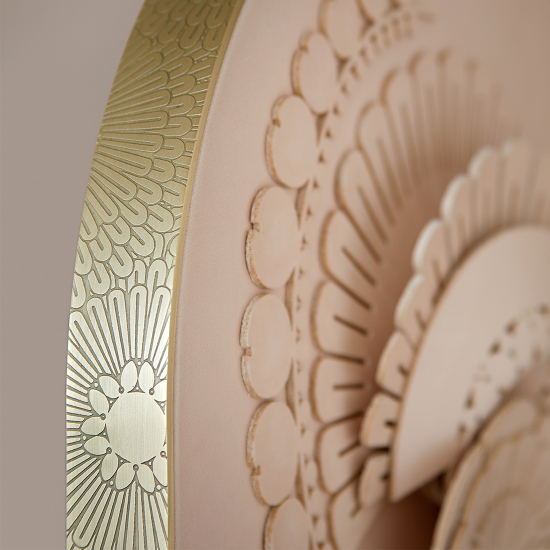 With a focus on pairing meticulously etched brass and hand sculpted leatherwork for a collection of wall panels, mirrors and screens with a unique and contemporary aesthetic. A luxurious palette of signature materials is paired with modern production techniques to produce pieces which are elegant, timeless and intriguing. Unique pattern is distilled to create exquisite sculptural surfaces and details which respond to light and shadow. Genevieve’s work is sought after by interior designers and private collectors globally. It is used in boutique hotels, private residences, restaurants and retail spaces by those looking for unique artwork installation. Genevieve works closely with a client to develop individual works on a commission basis. All bespoke work is crafted by hand in London. For information on commissioning a work please contact the studio. Genevieve is a respected and in demand creative partner for a burgeoning number of global brands. Her bold, contemporary and intriguing designs are instantly recognisable in her commercial design collaborations with homeware and manufacturing brands.